Back in the ‘90s, “extreme” was a buzzword that became inexplicably elevated in mass consciousness and quickly become overused to the point of meaninglessness. 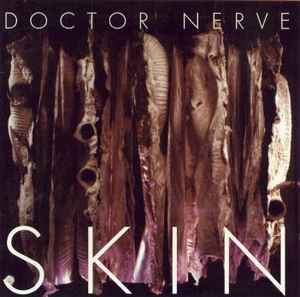 But if there was music in the ‘90s that truly lived up to the word, Doctor Nerve’s “Skin” is it. Perfectly striking a precarious balance between the accessible and the avant-garde, “Skin” finds Doctor Nerve juxtaposing high energy heavy metal guitar riffs against punchy interjections from the band’s horn section. Always rhythmically unpredictable, and occasionally dissonant, Skin makes nods to the Rock in Opposition ethic as well as that of free jazz while keeping things succinct and economical. Unapologetically cerebral yet brash and irreverent, “Skin” is among Doctor Nerve’s most focused and satisfying work. Almost 25 years after its emergence, it remains as potent as ever and should be considered one of the most essential Cuneiform releases.